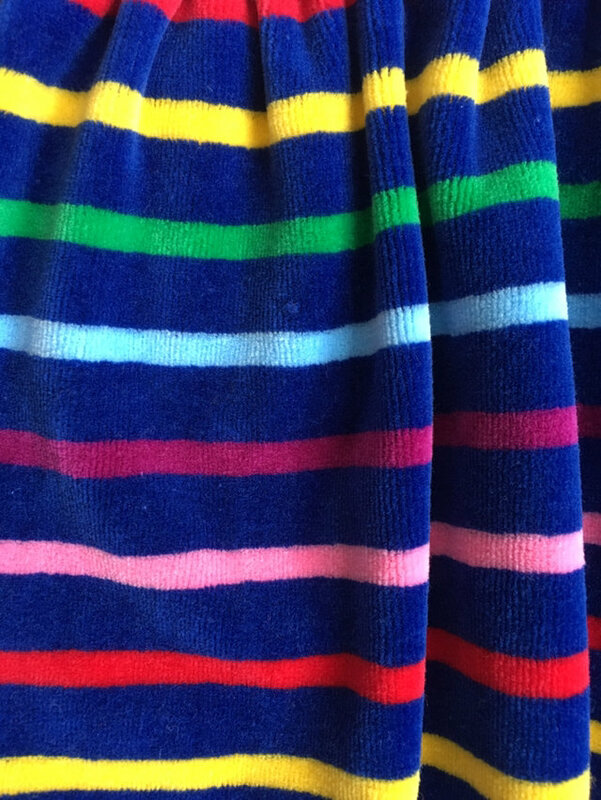 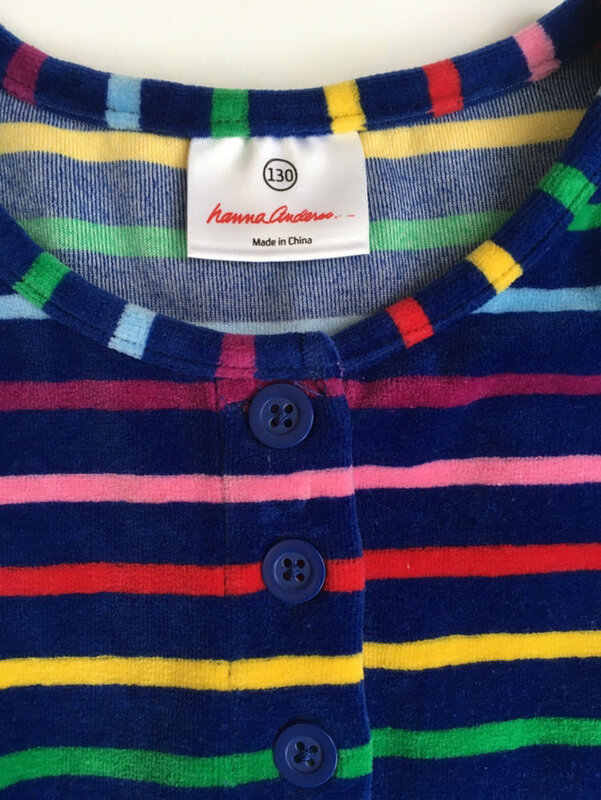 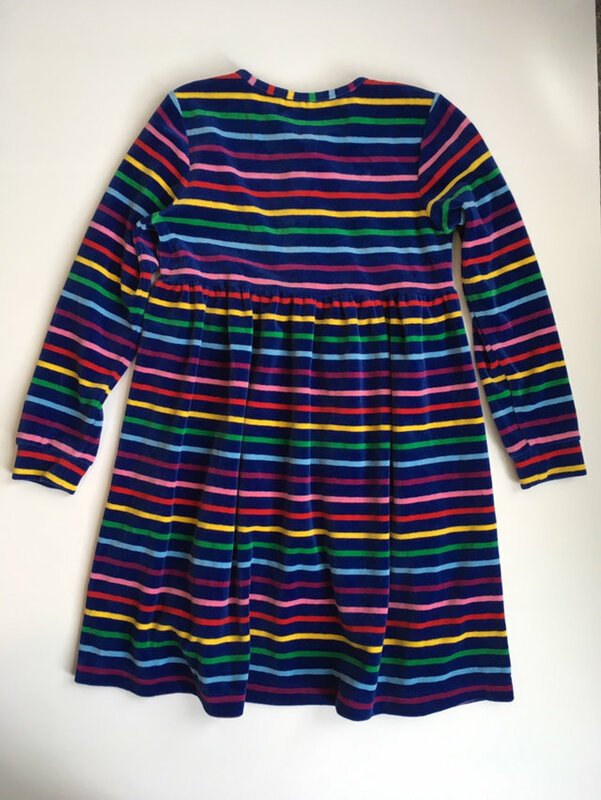 Hanna Andersson 🌈 Striped Velour Dress Size 130 / 8-10. 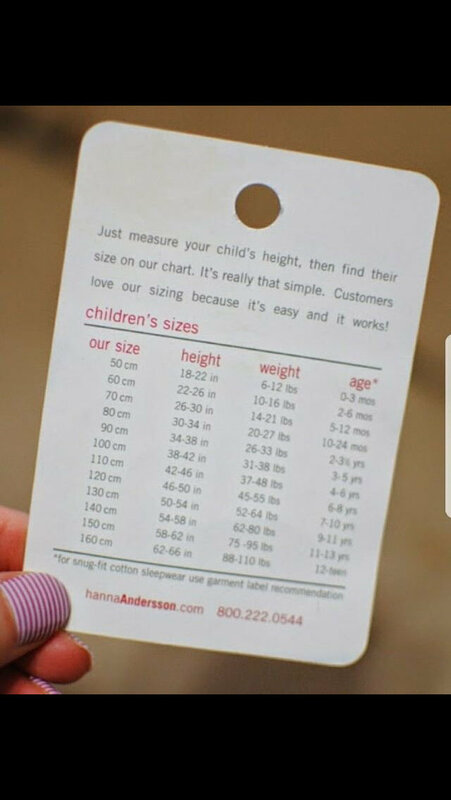 Please see the sizing pic attached for height/weight recommendations. 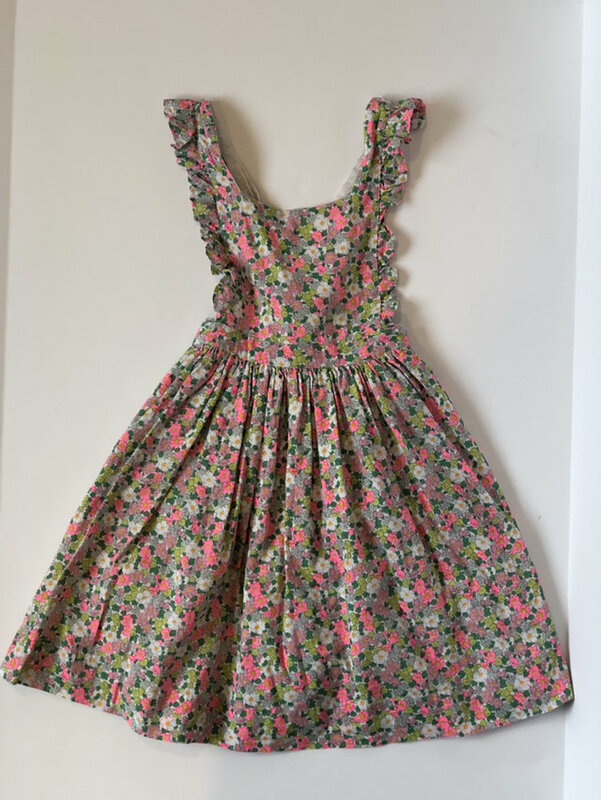 This dress is everything! 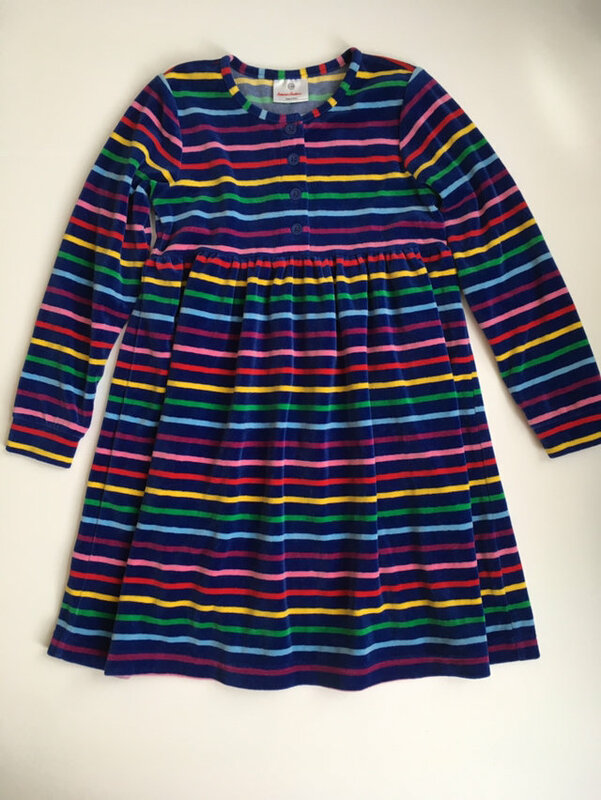 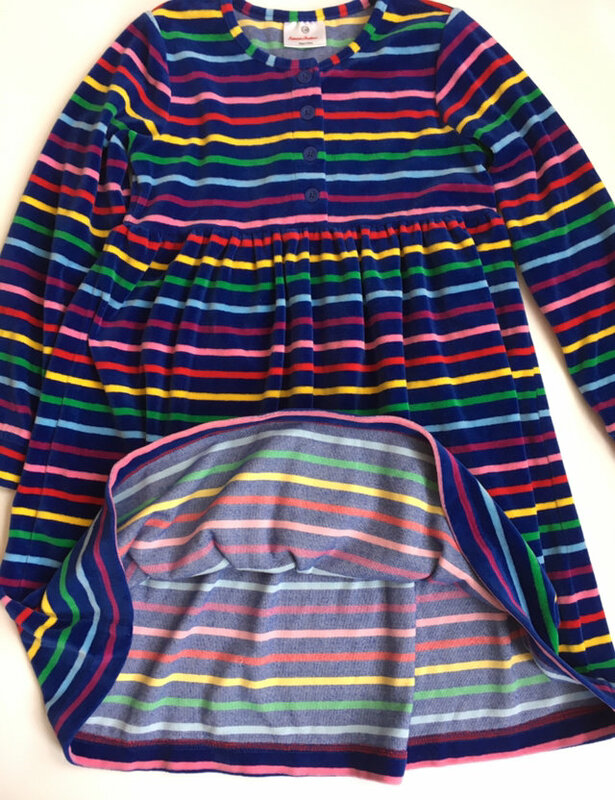 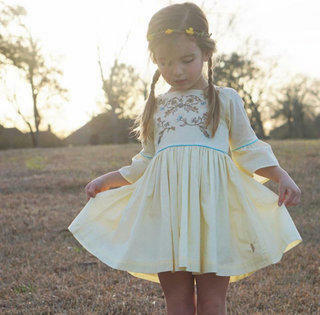 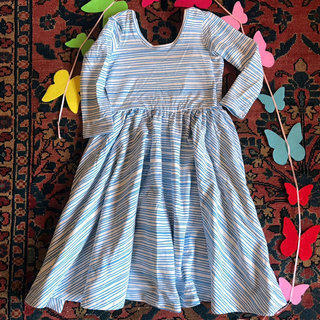 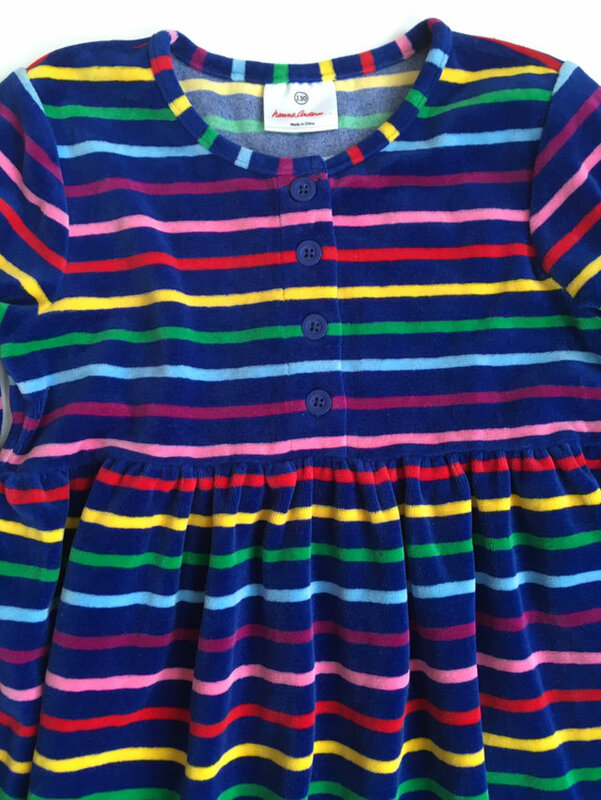 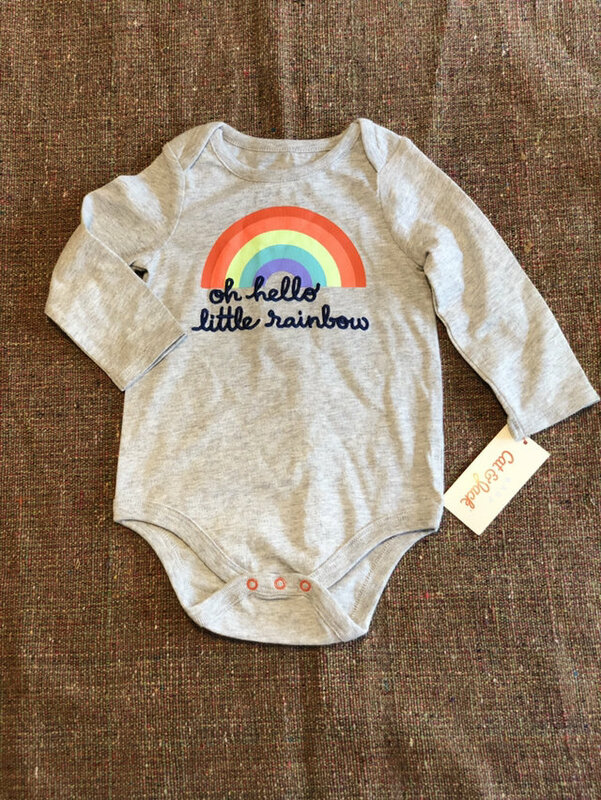 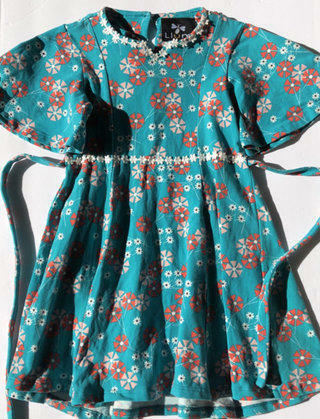 Comfort ✔️Rainbows✔️Twirls✔️ The dress is perfect but There’s a place on the blue that has a tiny knot of extra thread, appears made that way. 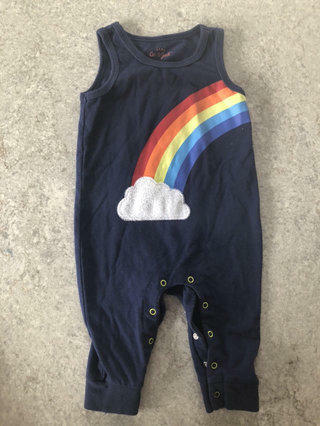 Not noticeable but wanted to mention it.